Home > Blog > Will Your Health Plan Cover You Abroad? 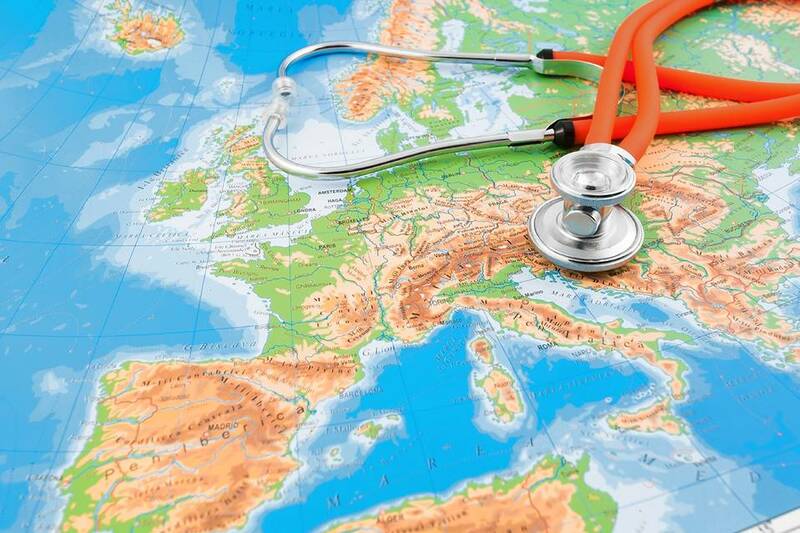 Will Your Health Plan Cover You Abroad? Planning to travel or retire overseas? Before packing your bags, it’s important to research just how portable your health insurance is—and make plans to supplement or replace it if it won’t cover the services you may need or want. Some travelers may be able to get by with the coverage they already have. That’s because many private health insurance plans sponsored by employers and Medicare-affiliated programs cover medical emergencies outside the U.S. But those who want coverage for medical evacuations or routine services, including doctor’s visits, generally have to buy additional insurance. Moreover, people who retire abroad should try to secure coverage in their new country of residence, while retaining basic Medicare in case they return to the U.S. The first step in assessing your needs is to understand what your current health plan will and won’t cover abroad. Original Medicare generally doesn’t provide any coverage outside of the U.S. Many private health plans do—but typically only for emergencies that arise when a person is temporarily out of the country. Because the definition of an emergency varies from policy to policy, “it’s important to read the plan documents,” says Maura Carley, chief executive officer of Healthcare Navigation LLC, a health-insurance consulting firm. UnitedHealthcare, for example, says that under its Medicare Advantage plans—which replace Medicare with private insurance—a heart attack would qualify for coverage, but a “routine health-care need,” such as treatment for flu, generally wouldn’t. Regardless of your coverage, expect to pay any bills you incur abroad out-of-pocket and then seek reimbursement from your plan, saysDevon Herrick, a health economist at the National Center for Policy Analysis, a nonprofit research firm. “You cannot expect hospitals outside the country to have any idea how to bill your insurance company,” he says. 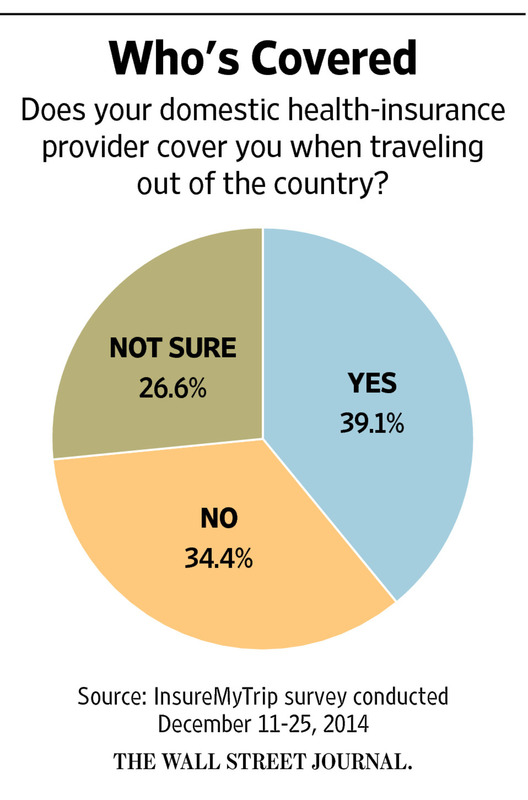 Travelers who decide to buy international coverage have a few options. Those with employer-sponsored plans may be able to purchase supplemental international coverage from the plan. Alternatively, they can buy travel insurance. Such policies typically add 5% to 17% to a trip’s cost, depending on factors such as your age, says Brendan Sharkey, director for individual sales at travel insurer, GeoBlue. Policyholders often receive access to networks of English-speaking doctors and hospitals that accept payment from the companies. One variety, known as a comprehensive plan, reimburses policyholders for most costs associated with a wide range of travel-related problems, from illness, injury and medical evacuations to lost luggage, delayed flights and nonrefundable expenses if a trip falls through. Travel medical plans generally allow you to buy more coverage—typically, a maximum of $1 million for as long as a year. Comprehensive plans often only go as high as $500,000 and last from one to three months, says Lynne Peters, insurance product manager atInsureMyTrip.com, which allows users to compare policies. Both types of travel plans usually limit the amount of insurance older adults can buy—and premiums generally rise with age, says Ms. Peters. Ms. Carley recommends that Medigap policyholders try to save the $50,000 of overseas coverage under those plans for their later years. Because they cover only medical services, travel medical plans generally cost less. For a couple in their 50s taking a two-week, $5,000 vacation, a travel medical plan costs about $80, versus $200 for a comparable comprehensive plan with a $50,000 medical limit and $250,000 of medical-evacuation coverage, according to InsureMyTrip.com. But with a travel medical plan, you may not be able to get coverage for pre-existing medical conditions, often defined as ailments you had in the six months to three years before you purchased your policy. Under many comprehensive plans, it’s possible to secure such coverage if you buy a policy in a set time frame—often within 10 to 21 days of your initial trip payment. If you plan to retire overseas, it’s important to research your destination’s health-care system. Some countries allow people who establish residency to join a national health-insurance program, says Casey Schwarz, senior counsel for education and federal policy at the nonprofit Medicare Rights Center. If you decide you need private insurance, look for an expatriate plan that covers doctor’s visits, hospitalizations and medical evacuations in some or all parts of the world. Be aware that these plans deny coverage to some applicants based on health, and the premiums may “soar” as you age, says Ms. Carley. Retirees eligible for Medicare should think twice about dropping or failing to sign up for basic coverage. Although original Medicare provides no coverage abroad, those who return to the U.S. will need it. Most people pay no premiums for Medicare Part A, which covers hospitalizations, so “there is generally no downside to keeping it,” says Ms. Schwarz. Part B, which covers doctor’s visits, costs at least $121.80 a month—premiums rise with income. But under Medicare’s rules, it’s generally only possible to enroll in Part B during the first three months of the year—and the coverage doesn’t start until July 1. In addition, those who sign up late for Part B face penalties that may add 10% to their base Part B premiums for every 12 months they delayed. Call Premier Insurance Corp, Inc for help with your travel healthcare. Bon Voyage!